There are numerous military bases and barracks in Hawaii, including Schofield Army Barracks, Pearl Harbor, Wheeler Army Airfield, Ford Island, Fort Shafter, Kaneohe Marine Corps, and Hickam Air Force Base. Regardless of where you have been stationed, if you are being relocated or deployed, moving away from Hawaii can leave you with one big issue: what to do with your car, truck, or SUV. At CarMark Hawaii, we buy used cars and actually began our company a quarter of a century ago as a service to military personnel. 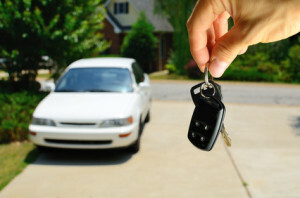 Today, we provide the same service to everyone in Honolulu who has an issue when trying to sell their car. However, we realized a long time ago that those in the military were facing a real problem – that selling a used vehicle to a car dealer or individual wasn’t always that easy. In addition, the option of having a vehicle shipped inland wasn’t always an option, as shipping costs are astronomical. In fact, freight costs can be more than the car is actually worth! We provide a simple, streamlined solution that’s hassle-free. We know that as members of the military, you face enough struggles and hassles as it is, without having to worry about what to do with your car, truck, or SUV when leaving the Oahu area. We don’t have many rules, and will give you cash for your used car the same day you bring it in as long as it’s in good condition, no older than 8 years, and has 100,000 miles or less on the odometer. Be sure to call and make an appointment, so that we can advise you of the process and all will be in line and ready to go when you get here. If you’re in the military and moving away from Hawaii, don’t sweat the small stuff. At Car Mark Hawaii, our business is buying used cars in the Honolulu area. You will see our staff members are friendly, courteous, and always helpful. Come see us today!